Irrespective of whatever their motorcycles are, people seem to be lapping up their products as they produce in the domestic market; however, the same can not be said about the international audience. In the financial year 2017-18, Royal Enfield sold whopping 8 Lakh+ motorcycles all over India. In comparison in FY 2016-17 it found 6.5 Lakh takers – inferring an unrealistic growth of 23 percent. ‘Unrealistic’ because we are talking about motorcycles between 1-2 Lakhs! However, their exports are limited to only a handful of units as of now. Despite the fact that there were reports of new international Royal Enfield centres opening every other month, they were only able to sell 1878 units in the month of March 2018 and around 19,264 units in FY 2017-18 – which is only about 2.4 percent of their domestic sales! 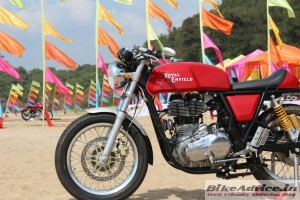 In a recent announcement (via Indianautosblog), Royal Enfield said that they have over 540 dealerships in international markets in 50 countries and 36 exclusive stores. These numbers infer that Royal Enfield could sell an average of only 36 motorcycles per dealership in one full year (considering that all the dealerships mentioned are functional and are selling RE branded bikes). Further, it means that they could sell only an average of 385 motorcycles per country last fiscal. For the last financial year, Royal Enfield stood seventh in the top ten highest two-wheeler exporters in India, only ahead of Mahindra, Piaggio and Harley Davidson! For the coming year they have announced investment of 800 crore which will be utilised in..
commencement of construction of Phase 2 of their Vallam Vadagal plant in Tamil Nadu. Setting up of company-owned subsidiaries in important markets of Indonesia and Thailand. Increase in production capacity to 9.50 Lakh motorcycles. Royal Enfield will also use this amount to expand their portfolio with new products including the upcoming twin-cylinder motorcycles – Continental GT 650 and Interceptor 650 which are scheduled to be launched sometime soon. 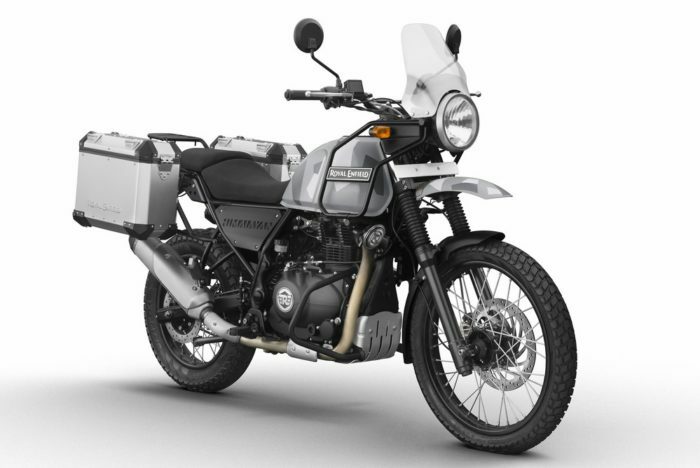 The company has faced flak for the terrible quality of their first ground-up motorcycle in a long time – Himalayan. Along with quality concerns and considering that their last two major motorcycle launches (CGT 535 & Himalayan) have not worked, it would be difficult for them to convince people to go for their twin-cylinders which are even more complex to make!